There's an old adage, that you can't be too rich or too thin, but can you be too clean? Welcome to ReachMD book club. I'm your host, Dr. John Russell and today we'll be speaking with Professor Rob Dunn from North Carolina State University about his book, The Wild Life of Our Bodies: Predators, Parasites and Partners That Shape Who We Are Today. Rob, welcome to the show. Oh, it's my pleasure to be on. Thank you, so much for having me. Well, so for a long time I studied the ecology of all sorts of wild species. To termites and beetles and ants and I wrote about their stories and in doing so I wrote about parasites and pathogens and microbes and guts and fungi that took over brains. And at some point as I was writing, I realized that there were these same sorts of stories about humans, but we seem to know less about these stories when it came to our own lives. And so I've become fascinated with our interactions with the thousands of other species we encounter every day. And so initially, I started writing magazine articles about those stories and quickly it became clear it was a book and then I needed to write about what we do and don't know about all these things that we, you know, we sit with quietly in our bedrooms and we ride with in our cars and we're influenced by, whether they're present or absent. So, and for years in medicine, we've talked about the hygiene hypothesis and its impact on certain illnesses. Can you comment on this? Yes. So the hygiene hypothesis in its simplest version is that by being too clean we can predispose ourselves to certain autoimmune disorders. And so the earliest date on the hygiene hypothesis came from comparisons of kids who grew up in rural environments and urban environments. And in those studies, the kids in the urban environments that seemed to be much more likely to develop a suite of problems associated with allergies and autoimmune disorders. And what was hypothesized early on, was that somehow the exposure to a greater diversity of small life forms was beneficial to our immune systems. And so what started as a simple kernel and a few studies has really become a huge literature in which people are beginning to consider whether we can get sick because our partner species are missing in the same way that we might get sick because some pathogen is present. Along those lines, I was really fascinated about what you wrote about ulcerative colitis and parasites. Can you elaborate a little on that? Sure. So there's a growing body of work that looks at the relationship between worms of various kinds that you can get in your gut and ulcerative colitis and Crohn's disease and the suite of other autoimmune disorders. And so, there are actually several groups around the world that are actually trying to administer worms as a treatment for Crohn's disease and ulcerative colitis. And nobody quite understand what's going on, but it's pretty clear that the worms seem to have some therapeutic benefit. And so one model of why that works, it has to do with our evolutionary history. And so if we think of what's been happening in our guts for tens of millions of years, for most of that time most of our ancestors would've had at least one if not multiple kinds of worms. And so what's been hypothesized is that by removing these worms from our daily experience, that our immune systems are encountering a very different environment than they would've historically. And so the idea is not that the worms are good, I mean they can actually have costs, but rather that our immune system sort of takes them for granted. I liken this to gravity. You know gravity's not particularly beneficial to us. It holds us down. We can't slam dunk a basketball. And yet our bodies work in light of gravity. Our bodies evolved assuming gravity is present. And so that when we're in zero gravity everything sort of malfunctions a little bit. And I think that there's a fair argument that something similar is happening with the worms. Although, I think another big piece of that story is what's happening with the bacteria in our guts as well. So, in the ulcerative colitis, it just didn't seem as simple to get these people infected, as one would've expected. People seemed to have to travel, to endure some pretty high expenses. It almost seems like traditional therapies for inflammatory bowel disease, you know, at least cost-wise, to just get infected with a parasite. So one of the issues is getting a parasite in the first place and so, you know, one of your options is to go someplace where they're common and walk around barefoot and hope that you get one that's potentially beneficial and not one that's deadly. And the other option is that there are these few labs, and so there are a couple in Mexico now where you can actually go and get infected with a worm. But I mean the problem is, is you're treating an animal like a pill that's actually, you know, a wild animal that has not been domesticated. And so it's, it's in a way, knowing that a cat benefits you and then swallowing a cat. You know, all sorts of things can go wrong, we don't quite understand how to do it, and yet it's pretty clear when people do these experimental treatments that there do seem to be a lot of remission of many of the symptoms. And so there's something beneficial going on. But it's not easy now and it's not clear that it's going to be easy in the near future. Can you comment about antibiotics, alcohol hand sanitizers, probiotics, some of the things that were causing and trying to treat to reinstitute flora. Yeah. So I think the growing body of literature on the microbes that are on our skin and in our guts suggests that greater diversity of those microbes tends to be beneficial. And in particular, there are a suite of lineages of these microbes that if you're missing some of them you start to see negative health effects. And so there's a great recent study in Finland that showed that adolescents who grow up in houses with more native plants in their backyard tend to have different microbes in their skin and tend to be at a reduced risk of allergy. And so the idea there is the native planets are engendering microbial diversity which is ending up on the skin which is somehow benefiting the immune system. And this...contextually where that fits in is that the hand sanitizers, antibiotics, and many of these other modern ways of treating this diverse ecosystem that lives on and in us, tend to reduce the diversity of these lineages we depend on. And so if you really are dealing with a nasty pathogen, you need the antibiotics, but many of the times we're using them we don't. And by the same token, most of the time that we're using a hand sanitizer, soap and water work just fine. And so I think for the most part this real push toward the overuse of antibiotics and the daily use of these hand sanitizers, and hand sanitizer is kind of a misnomer, because the truth is that the compound in those sanitizers, triclosan, I mean, it's being out in underpants now and socks. You can find it in shampoo. And so it's really all around us and there's far more evidence of negative effects of its use than there are of positives. At least when compared to using something simple like soap and water. You know, going through medical school, always kind of learned that the appendix was a relatively vestigial organ that really didn't serve much purpose. But you kind of waxed very interestingly about its role in our health. Yes. So the appendix is fascinating. So as we learn more about the microbes on and in our bodies, we are coming to this idea that a biodiversity of microbes is beneficial. And I think there's now an argument that our appendix always knew this. And so Bill Parker at Duke Medical Center and Randall Bollinger is a surgeon also at Duke, have started to argue that the appendix may be a storehouse for good bacteria, kind of nature reserve in your gut. And their hypothesis was that if you were to get a really severe gut infection and so historically this might be cholera. Today, in a hospital setting, it might be clostridium difficile. In that context the only real good way for your gut to be recolonized is from the appendix is their argument. And so, you know, you wipe out your good stuff where does the new stuff come from? The appendix is there to provide. And so, Parker and Bollinger, put this hypothesis forward and when it initially came out, my personal suspension was that people were going to attack it and call them both lunatics and what quickly became clear was that essentially nobody works on the appendix. And so there is nobody to call them lunatics. And so it sat there in the literature for a little while and then more recently people started to look at this a little more. And what Parker and Bollinger would've hypothesized is that if you were to get one of these severe gut infections, that if you had your appendix, you'd be much more likely to recover. And recently, a group has actually shown that individuals with clostridium difficile infections are three times more likely to recover successfully if they have their appendix. And so this doesn't prove Parker and Bollinger right, but it's very suggestive of this really interesting story for this organ that we though was totally useless for, you know, a hundred years. So it certainly argue against the surgeon who is kind of in the abdomen doing some other surgery, and oh, by the way I took your appendix, too. Yes, yes. Definitely. So it doesn't argue against removing an inflamed appendix, you know, so a burst appendix is clearly a worse situation, you know, than the potential consequence that might come many years down the road. But the sort of discretionary removal of the appendix definitely should be a no-no. 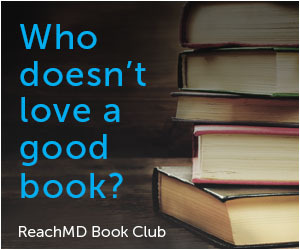 You're listening to ReachMD book club. I'm John Russell and we're speaking with author Rob Dunn about his book The Wild Life of Our Bodies. So Rob, can you discuss evolution and how it relates to our consumption of dairy products? Right. It's a great question. So historically, we tended to this about dairy products as a universal good. If you look at the milk commercials they all show, you know, milk does the body good. It turns you into superman or a tennis player, or whatever you want to be. But it became clear in the 1940s and 50s that lots of people could not drink or at least could not digest milk as adults. And in the early medical literature, they were described as deficient and degenerate. And then anthropologists started to look at this question and it was suggested that wait a minute, maybe something else is going on here. And it slowly became clear that more than half of all adults in the world actually lack the enzyme to digest milk when they're adults. And what's emerged in this context is a very clear story that underlies this global pattern. And what appears to have happened is that those lineages of humans who domesticated cows benefitted greatly from being able to drink milk as adults. Especially when there were water borne diseases, because the milk was clean when otherwise the drinking fluids would not be. And so what's now be shown is that in those lineages of people, there's a different version of a gene for lactase, the enzyme that breaks down the lactose in milk, that's present. And that those genes evolve very quickly and repeatedly, at least four times. And so for those people who can drink milk as adults today, and so if you can drink milk, what it means is that your ancestors were those unusual people who crawled under a cow and partook, which is a very, very different kind of story than the one we would've thought about historically and medically. And it suggests many interesting things. And one of them, to me, is that if you look globally at people all around the world is that almost any food you give people how their body responds to it is going to be slightly different as a function of their ancestry. And milk is this very clear example. Some people get diarrhea from milk, some people get lots of nutrition. It depends who your ancestors were. The same it turns out is also true for starch. 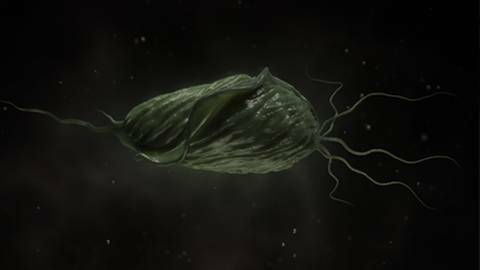 People whose ancestors' farmed starchy food in many cases have more copies of the gene for producing amylase, which is the enzyme that breaks down starch. And so they're actually better able to break down starch. And so if you imagine at Thanksgiving, you know, supper with sweet potatoes and a glass of milk, you know some people at the table can get 30 to 40 percent more calories from that same food relative to other people. And so it's this amazing variety in our human condition as a function, not of who we are, but of who our ancestors were. It's hard to think of humans as prey but once upon a time, we were. Correct? That's right, yeah. One of the most visual, visible manifestations of this is if I screamed right now, which I won't do. Some of your listeners could be driving. But if I did, people, some people would get goose bumps. And so what are goose bumps? Goose bumps are little teeny muscles in your skin that are pulling tight so that the hair on your skin stands up. Now in a modern context that makes us look really stupid. You know, it makes us look like a goose. But historically that was a response to predators. A predator shows up and threatens you and your hair stands up on end to make you look bigger and scarier so that maybe the predator will go away. And you can see this in chimpanzees today. If leopards show up, the chimpanzee fur goes straight up and the chimpanzee tries to look really big. And the reason we have things like this is because for most of our ancestry we were actually eaten by lots of predators. One of the most famous hominid skulls that we have is called the Tang Child. And one of the really conspicuous things about this skull is that it has two holes in the eye sockets from eagle talons. And so it looks to have been the first in-flight hominid. You know this little boy who was carried away to an eagle nest. And so our ancestors were eaten a lot by predators and we have lots of vestiges of that in our biology. Another good example would be our fight or flight response. You know, so if I develop anxiety or stress driving to a meeting that I'm late for, that anxiety and stress is not adaptive at all in driving to a meeting. It probably makes me more likely to crash. But what's happening is I'm triggering the fight or flight response that I would've had historically in responding to a predator. And so we all have this influence of predators embedded in our biology. That influences things like our vision, and when we give birth and it's embedded in ways that we can't change, you know, present and a reminder of who we used to be. Well, Rob, thank you, so much for being on the show. It's a wonderful book. People should check that out. Can they find more information about some of the projects you're working on? Yeah. So one of the great things about this book was it triggered us to start to study lots of these aspects of our daily life and ecology we know little about. So if people want to be involved in studying the biology of their houses they can go to yourwildlife.org and find us there. This is Dr. John Russell. If you missed any of this discussion and want to hear other programs in the series, please visit ReachMD.com where you can download the podcast and learn more about the series. Thanks for listening. In his book, The Wildlife of Our Bodies, biologist Rob Dunn from the Department of Biology at North Carolina State University opines that while "clean living" has benefited us in some ways, it has also made us sicker in others. We are trapped in bodies that evolved to deal with the dependable presence of hundreds of other species. As Dunn reveals, our modern disconnect from the web of life has resulted in unprecedented effects that immunologists, evolutionary biologists, psychologists, and other scientists are only beginning to understand.